Research indicates that regular short sessions of exercises make the perfect workout because they have numerous health benefits. 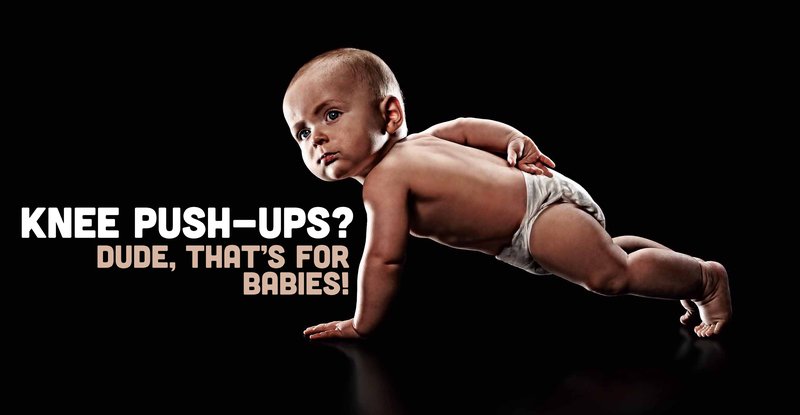 Even if you cannot find time for a daily workout routine, there are several innovative and effective exercises including pushup workout and ab workouts that do not require much time to perform. You don’t need to get out of bed to try out back exercises. First, lie on your back and then heave your stomach in as you squeeze your abdominal muscles. Next, lean on your pelvis so that your back rests flat with no space between the back and the bed. Maintain this position until you start feeling some pain on your abdomen and then relax. This simple exercise can strengthen your back and relieve moderate back pain, especially if you feel tense, tired, and uncomfortable after work. Avoid sitting up in a straight posture and tightening your abs while sitting at the office. You will find that it is quite difficult to maintain the straight posture throughout the day. Consider using your core muscles to prevent slouching and reduce the risk of back muscle imbalance and pain. For more benefits and added challenge, swap your desk chair with an exercise ball for some time. The exercise ball will force you to sit up straight, which will encourage you to use your core muscles. This is one of the most effective ways to work out if you do not have time for regular visits to the gym. Always take the stairs. Taking the stairs instead of the lift will give you the chance to work out while at work. It will also help improve your blood circulation. Focus on working your abdominal muscles by squeezing the muscles in your midsection and standing upright as you lift your knee in each step. Raising your legs higher with each step you take will help work your leg muscles more effectively. This exercise will not only work your leg muscles, but it will also work your abdominal muscles. It is important to keep your hands off the stair railing as you take the steps on the stairs. Make sure you balance with each step to maintain your stability. Did you know that even traveling gives you a chance to work out? 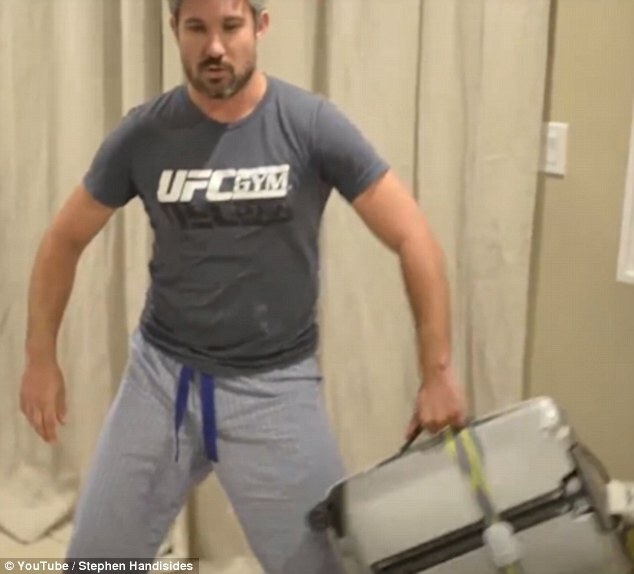 Well, carrying luggage is just one of the easiest ways to work out while traveling. However, it is important to maintain good posture, especially if you are carrying a messenger or duffel bag. Ensure that you wear the bag strap across your chest. This will help prevent you from leaning to either side. It will also ensure the stability of your body. Carrying luggage is one of the most effective shoulder workouts, back workouts, and leg workouts. Lifting luggage and putting them onto racks also helps to work out your abdominal and core muscles. You are guaranteed a great deal of fun and opportunities for quick workouts as you play with your kid. Carry your child using both hands and then slightly bend your elbows. Gently swing his/her legs from side to side. This type of exercise will work your biceps and triceps and allow you to have some fun with your kid in the process. Believe it or not, your brain will work effectively and you will feel less fatigued if you stand as much as possible as you work or study. Take these “standing breaks” after short intervals. This exercise will help you burn 25% more calories. Ensure that you don’t lean over a desk or wall while standing. Activities that can give you an excuse to stand while working include writing notes using a clip board, reading, and answering phone calls. This type of exercise can help you burn significant amounts of calories with time.To get even more of a workout don’t drive to work.Park your car at a distant location from your workplace and walk all the way to work. The best distance will be a mile or two from your office. However, ensure that the location you choose is safe to walk and easy to find parking. Try tricep and bicep workouts including, doing push-ups against your desk as you wait for an answer from the other end each time you make a phone call. If your phone does not have a speaker, use one hand to perform several one-armed push-ups. Alternate arms with each call you make. Avoid pastries during tea breaks and get out of the office to get some fresh air. Take a walk around the office block to refresh yourself mentally and physically. Walking at a speed of 4mph can help you burn 100 calories in just 15 minutes. Have some resistance gym workout bands at work. These are stretchy resistance bands made of latex that work your muscles as if they are lifting weight. Step on the resistance bands and perform five minutes of lateral squats, shrugs, and upright rows while on an office break. Doing these small exercises will help re-energize your body. Volunteer to carry or lift anything that needs to be moved. Move the old cartons filled with office supplies, the new printer, or change the water jug at the office cooler. Some of your colleagues might think you are wasting your time by carrying out duties that you are not supposed to perform, but in essence you will be helping yourself to workout. 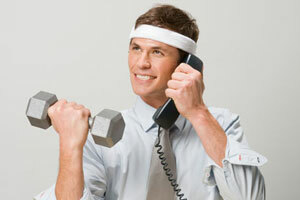 Working out does not have to be a time consuming exercise. There are various ingenious ways to have the perfect workout without committing yourself to long workout sessions. However, be sure to warm down or stretch after your workouts.